To many visitors from the southern states, south-east Queensland is a land of glitzy beachside tourist strips, surf beaches, and mangrove lined foreshores, with green forested hills to the west. A lot of people don’t venture far beyond the popular coastal strip, but less than 3 hours drive to the south-west of Brisbane there is a very different world waiting to inspire photographers, hikers and other adventurers with its rugged and ancient landscapes. Lying in the heart of Queensland’s Granite Belt, Girraween National Park is a wild wonderland of massive granite tors, domes and boulders set among eucalypt woodlands. The area offers unique and spectacular opportunities for the more adventurous photographer, but also provides a great getaway for families with well maintained camping grounds and walking trails throughout the park. While the landscapes in the National Park feel rugged and wild, visitors to the area will find a range of comforts within easy reach, including the town of Stanthorpe, just a quick half hour drive up the road. The Stanthorpe area has become a popular weekend getaway for people wanting to escape the hustle and bustle of the coastal strip. At an altitude of just under 1000 metres above sea level, summer temperatures are mild and there's welcome relief from the coastal humidity and crowds. Winter can get mighty cold – Stanthorpe regularly registers the coldest temperatures in the state, with frosts common and snow an occasional treat. The temperate climate also provides ideal growing conditions for wine grapes and all manner of fruits and vegetables, so locally grown wines and gourmet foods are a real attraction. Apart from Stanthorpe, the surrounding towns of Ballandean, Glen Aplin and Wallangarra all have loads of rural charm and plenty of accommodation options for visitors. From a photographic point of view, the landscapes of the area show a unique mix of rugged, rocky countryside and neat, ordered patterns of the many vineyards and fruit orchards – the contrast between the two can make for some interesting images. Most vineyards and many orchards offer public tastings and tours, and if you enjoy a drop of grape juice, several bus tours run from Stanthorpe so you can leave the car at home. Storm King Dam is 10 km outside Stanthorpe, and apart from being a popular fishing spot, it’s very photogenic, particularly around dawn and dusk. The Stanthorpe Agricultural Show in January each year and the Stanthorpe Rodeo in March provide all sorts of activities and action, while the wine and food industries are celebrated with the Apple and Grape Harvest Festival in March, and the spring Primavera Festival. Stanthorpe caters well for photographers. 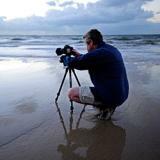 Geoff Rayner Photographics in the heart of town carries a good range of camera equipment, from bodies, lenses and tripods, to memory cards, batteries and even a small stock of film. 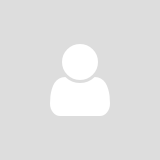 The experts there can also look after your printing and framing needs, or burn your images to disc. It's worth dropping in just to have a chat with the guys and pick up some tips on local photographic locations and conditions. There is also a Retravision, Woolworths, IGA and several chemists in the main street that carry more limited supplies of photographic accessories. 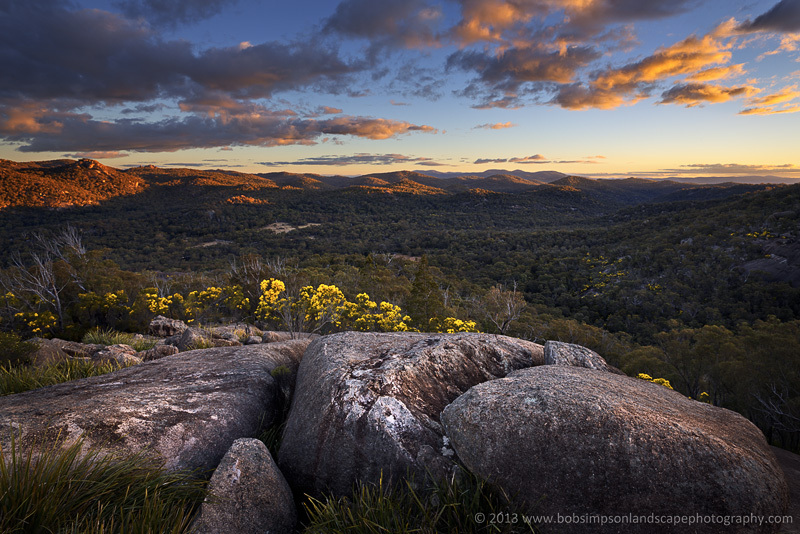 The name Girraween comes from an Aboriginal word meaning “place of flowers” and it’s well-earned for the spectacular springtime displays of wildflowers and wattles. The first known inhabitants of the Girraween area were the Kambuwal People, who hunted and traded in harmony with the land for probably tens of thousands of years before being displaced by early white immigrants. Alan Cunningham passed through the area in 1827, and European settlers took up parcels of land to farm sheep soon after. Attempts at fruit, vegetable and cattle production followed, but the harsh temperatures and rugged conditions saw a procession of failed ventures. Timber was also milled from parts of Girraween to help supply the growing demand in Brisbane. In the 1920s, moves to protect the natural environment at Girraween were put before the government of the time, mainly through the efforts of Dr Spencer Roberts from Stanthorpe. Dr Roberts lobbied the government to make the area a national park, and by the early 1930s 1600 hectares of Crown Land was set aside for this purpose. 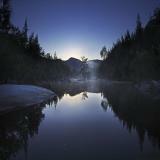 Later additions have seen the national park grow to almost 12000 hectares. To really get in touch with the atmosphere of the park, it’s worth staying at one of the two camping grounds provided by the Department of Environment and Natural Resources. Bald Rock Creek camping area and Castle Rock camping area together can accommodate several hundred campers, and they often do in school holidays and at Christmas and Easter. But in off-peak times, it’s not unusual to have the place pretty much to yourself. Amenities include hot showers, flush toilets, picnic tables and barbecues. As well as tents, there’s room for caravans, camper trailers and motorhomes but none of the sites are powered. Winter temperatures often drop well below zero at night, but the days are typically warm and sunny. Summers can be hot and stormy, but the temperature and humidity is usually well below that on the coast. Spring is perhaps the best time to visit - the flowers are in full bloom and the temperatures are moderate. A good introduction to Girraween for first-time visitors is to take the easy walk along Bald Rock Creek on the Junction Track. Starting at the Bald Rock Creek camping area, the track crosses the creek and then meanders through open woodland and heath before dropping down onto the flat, rocky creek-banks. There are some permanent waterholes, but the flow often dries up in winter and spring. Even at its driest, Bald Rock Creek is a worthy subject for photographs. Expansive granite slabs speckled with house-sized boulders and pot-holes flank the creek, providing many opportunities for landscape shots. Higher vantage points are easily accessed by scrambling onto the boulders or up the sloping rock faces that frame the creek valley. This part of the creek flows in a general westerly direction, so a late afternoon stroll down the creek will see you facing towards the setting sun. Another short track from the camping areas leads to a balancing rock formation known as the Granite Arch, and then onto the two massive rock domes known as the Pyramids. Only the first Pyramid can be scaled by the casual hiker, and even then care is needed on the steep slopes. If you can summon the nerve, the 3600 views from the top are more than worth it. 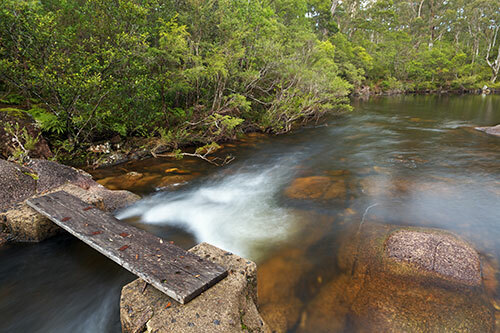 This is a great spot to try out multi-shot panoramas with the whole of Girraween National Park laid out before you. 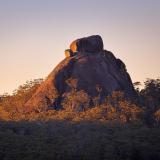 As with all of Girraween’s granite peaks, the desire to capture sunrise and sunset shots needs to be balanced against the risk of ascending or descending in the dark. With a good torch and grippy shoes, this can be done as safely as during the day in dry conditions, but be aware that dew or rain on the granite will raise the risk factor considerably. Tracks to the south-east of the camping areas lead to a series of awe-inspiring and photogenic rock formations – Castle Rock, the Sphinx, Turtle Rock and Mount Norman are all well worth a visit. The tracks are well marked and maintained, but nerves and care are needed to get to the top of these features. I should say that while the summits of these formations provide the most panoramic views, few photographers will be disappointed to not get right to the top. The slopes are open and exposed, and wonderful views and photographic opportunities can be had all along the way. Plenty of visitors never attempt to take on the more difficult summit trails, but enjoy the Girraween experience no less than those who do. Castle Rock is a favourite among visitors to Girraween as it is only a half hour hike from the campground and offers some of the best views in the park. The climb to the summit is steep and a little nerve-racking in places, but otherwise not difficult. The summit is broad and relatively flat so it’s worth spending some time there to rest your legs and explore the various vantage points. There are unobstructed views to Mount Norman, the Sphinx, Turtle Rock, the Pyramids, and all areas between. Mount Norman is the highest point in Girraween National Park. Hiking up the open slopes from either the north-western or south-eastern approaches is guaranteed to make you feel small as you wind your way between giant boulders and across wide expanses of exposed rock. The going is a little steep in places but not technically difficult. The summit itself is a jumble of huge boulders and rock pillars that offer no easy route to the top – scaling these should be left to the very well prepared and experienced rock climber. The views back down over the northern and western parts of Girraween from the upper slopes of Mount Norman are spectacular, and a short walk around to the southern side of the summit opens up new views to Bald Rock in New South Wales and beyond. It’s worth spending some time around the summit to explore the many caves, crevices and overhangs – these can provide great photographic subjects at any time of day. 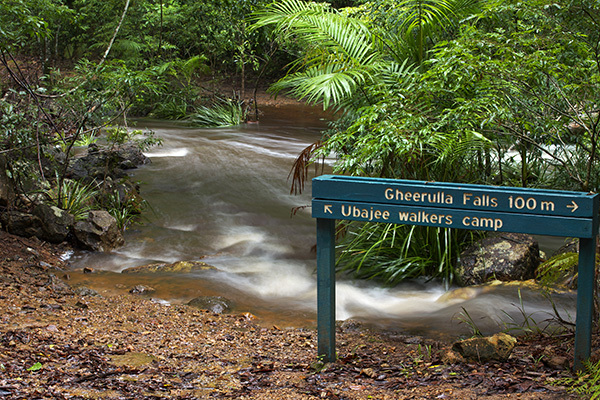 A ten minute drive from the camping areas will bring you to the tracks to Dr Roberts Waterhole and Underground Creek. The dark, still waters of Dr Roberts Waterhole provide some great opportunities for reflections in your photographic compositions, but this is a popular swimming spot in warmer months so photographers would be wise to visit early in the morning or late in the afternoon to avoid a crowd. The half hour walk to Underground Creek will bring you to Wave Rock, an unusual formation that overhangs the boulder-strewn creek. Early morning is the best time to photograph this feature as the rising sun lights up the rock face with a golden glow. Ten minutes walk past Wave Rock, the landscape opens out and the creek cuts a narrow, deep path through a broad rock platform. This section of Bald Rock Creek offers some photogenic small cascades and potholes when the water is flowing, and the backdrop of cypress-pines gives a very different feel to landscape shots compared to the more common eucalypt woodlands. It’s no secret among photographers that dawn and dusk are prime times to be photographing the natural world, and this approach holds true at Girraween. As in much of the Australian bush, the local vegetation is dominated by grey/olive green colours that can look a little drab in the flat light of midday, but they spring to life during the golden hours. A polarising filter will also add some vibrance to the greens and to blue skies, while a set of graduated neutral density filters is very useful to help control overly bright skies. The views from the Park’s higher points usually include relatively flat horizons so it is easy to position a grad in the right place – filters with a hard graduation are a good choice. Almost any focal length of lens can be put to good use at Girraween, but a wide-angle is a must to capture the open feel of the place. Something like an 18-50mm zoom will cover most landscape shots, but even then it can be hard to get the coverage you want so it’s worth considering a panoramic head on your tripod for multi-shot panoramas. A macro lens is a great option to get in close to the textured rock surfaces and wildflowers, but most wide-angle zooms will also get you up pretty close and avoid the need to carry extra gear. There are plenty of instances where a medium to long telephoto will come in handy – some of the views seem to go on forever and a long focal length will let you pick out remote rock formations or compress the layered hills that extend into the distance. Being a National Park, there is also quite a bit of wildlife to photograph – wallabies, possums, kookaburras and crimson rosellas are common around the camp grounds, and although rarely seen, there are wombats and lyrebirds in the park. One other thing that deserves some thought is your safety when out taking photographs. Girraween is well patrolled by rangers but you only need to walk ten minutes from the camp grounds and you're pretty much on your own. Some of the best photo opportunities require a hike of an hour or more, and outside busy holiday periods it can be a long time before another hiker comes along. So make sure someone knows where you’re going and when you expect to return, always carry a couple of litres of water, some snacks, a first aid kit, map and compass, and a mobile phone – it surprised me to discover that there can be quite good reception from the higher points in the Park. Girraween is a great place to just get away from it all, but it's also a wonderful place to put your photographic skills to work. If you don't come away with some great photos of the wild and rugged landscape and the other natural elements on offer, you're not trying. From Brisbane, take the Cunningham Highway towards Warwick, and then the New England Highway south past Stanthorpe and Ballandean. The turnoff to Girraween National Park is well signposted and easily accessible by all vehicles. The drive will take around 3 hours. For camping information and bookings, visit www.derm.qld.gov.au/parks/girraween/. There are plenty of motels and guest houses in and around Stanthorpe and near Girraween – for more information visit www.granitebeltwinecountry.com.au/, or call the Stanthorpe Information Centre on (07) 4681 2057. Any time of year can be good, weather permitting, but the summers can be quite hot and the winters cold. Spring is the best time to take advantage of moderate temperatures and the displays of wildflowers. All of the photographs in this article were taken using a tripod and circular polarising filter. Images were captured as RAW files using exposure bracketing in either aperture priority or manual mode. 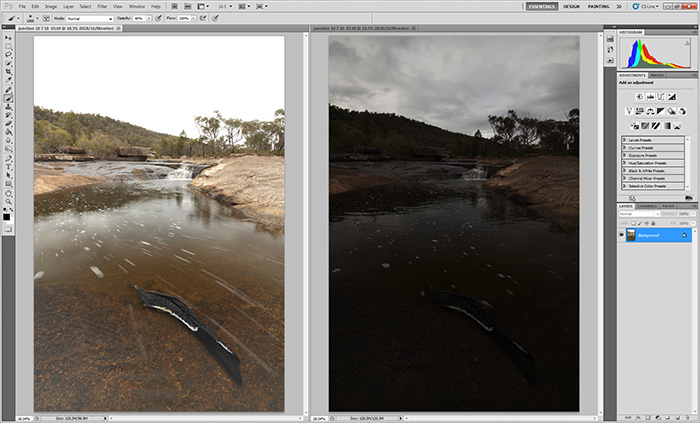 In most cases either two or three exposures were later manually blended in Photoshop to ensure detail in both the shadows and highlights. Basic adjustments including levels, curves and sharpening were then applied.